Today my husband and I celebrate 14 years of marriage. It isn’t easy but we continue to grow in our love and our marriage. Today also would have been my grandparents’ 70th wedding anniversary, but Grandpa went Home May 2, 2016. So today is a bittersweet day. If you would like to read my husband and my love story, please click here. Western society minimalizes everything unless the media finds it sensational and can then exploit others’ pain. It wasn’t like this in Bible times. People spent weeks or months in mourning. It wasn’t rushed. You could actually mourn without pressure. Now, once the person is in the ground, it’s time to move on. Well, I’m not ready. Grief does not work that way, especially when it’s a MOM! Watching my husband grieve his mom has been unbearable. She carried him in her womb, nursed him, and did all the wonderful mom things with him. How in the world do you simply “get over” that? Guess what! You DON’T! Especially when she was a wonderful mom that never intentionally hurt him. She was my second mom for 17 years. She fully accepted me into her family. With my disability AND our age difference, she could have chosen to be like my dad and reject me and disown her son. But she and her husband welcomed me right into the family as did the rest of my husband’s family. To be hurting this much actually makes me happy in a way because to hurt THIS much means she did something VERY RIGHT. I’d choose this grief over the weird, yucky grief I had with my dad who abused me. We need to stop teaching children from infancy that happiness is the only acceptable emotion because it’s not. It has created a society where pain and suffering must be dealt with as quickly as possible because it makes others feel uncomfortable. God never intended that. Validate your children’s negative feelings. Help them learn healthy ways of dealing with negative emotions. 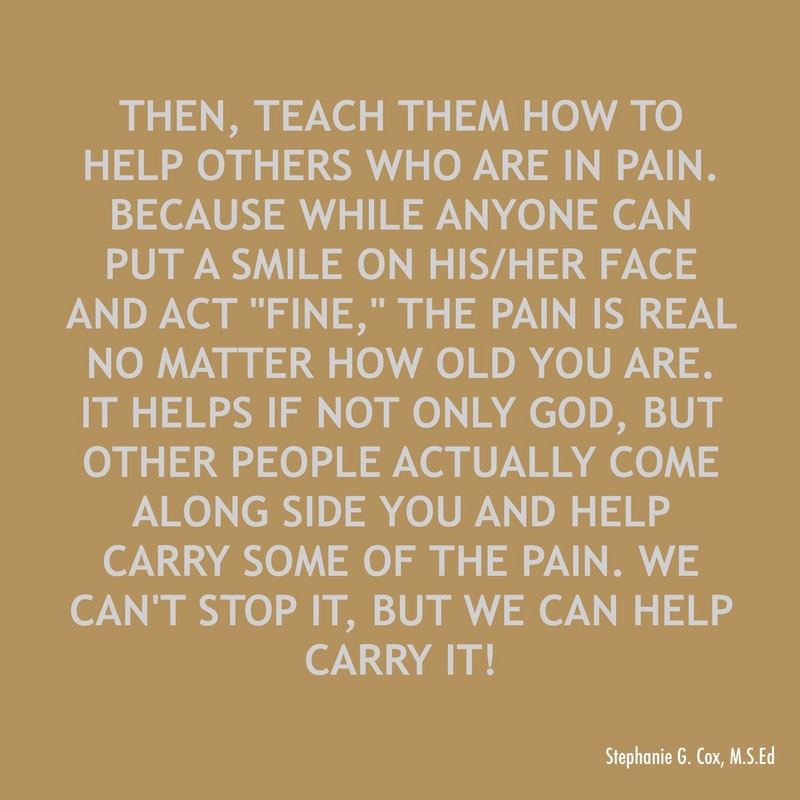 Then, teach them how to help others who are in pain. Because while anyone can put a smile on his/her face and act “fine,” the pain is REAL no matter how old you are. It helps if not only God, but other people actually come along side you and help carry some of the pain. We can’t stop it, but we can help carry it! Love this song, “Not Right Now” by Jason Gray. Yesterday my mother-in-law went Home to be with the Lord. Today is the 12th anniversary of my dad going Home. 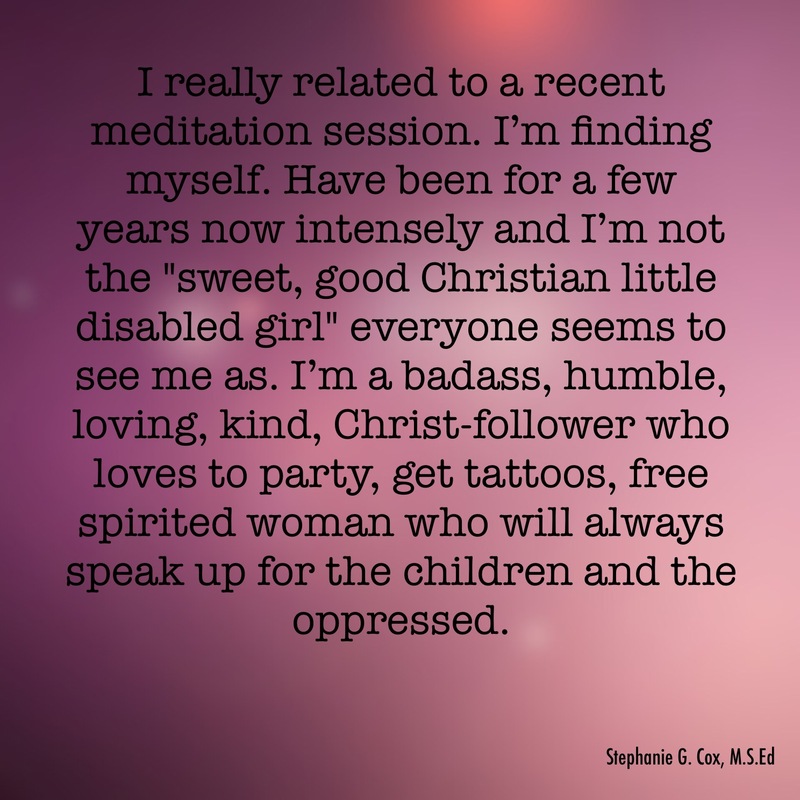 I am am filled with grief as I write this post. Thankfully, last week my husband and I were able to visit her. She and I were quite close. I miss her so much. She was such a wonderful, kind, generous, loving, and gentle mother to my husband and his sister. When my husband and I began dating, she totally accepted me into their family. She beamed with joy on our wedding day. My husband and his sister have all happy memories of her. She wasn’t perfect, but she was a great mom. And that is her legacy! My dad, however, was physically, emotionally, and verbally abusive to me. I hate that that is his legacy as I can’t deny what he did to me. Yes, he was often loving, but after 33 years, it’s the yucky stuff that still comes to mind when I think of him and that makes me sad. It’s especially hard on days like this to remember him because he refused to heal our relationship while he was still here. It’s an interesting thing. The more a parent hurts a child even if the parent is loving at times, it is those harsh, abusive times that come to mind most when thinking about that parent. 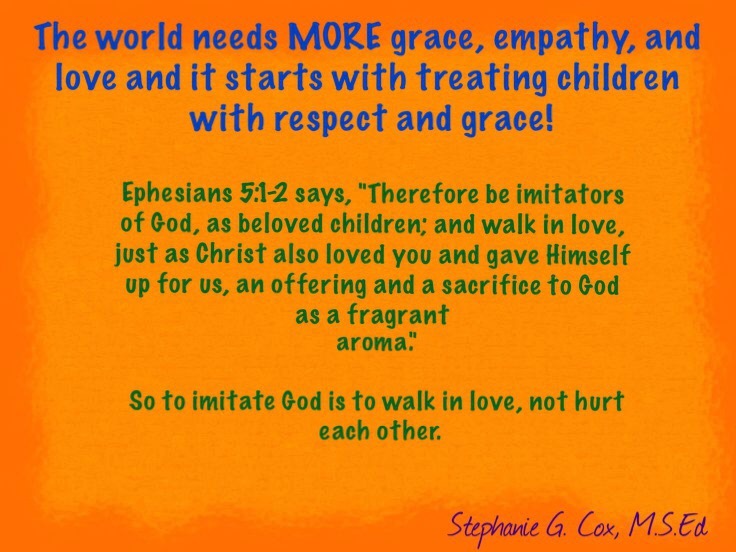 Yet, if a parent is loving, gentle, kind, and empathetic, THAT is what the child will also remember the most. 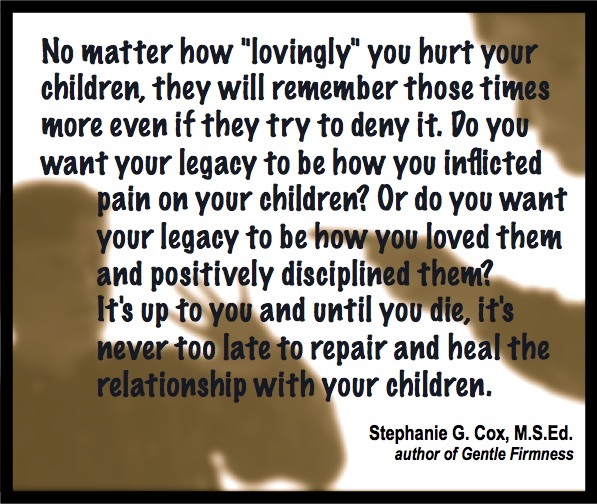 No matter how “lovingly” you hurt your children, they will remember those times more even if they try to deny it. Do you want your legacy to be how you inflicted pain on your children? Or do you want your legacy to be how you loved them and positively disciplined them? It’s up to you and until you die, it’s never too late to repair and heal the relationship with your children. I wish my dad had repaired our relationship before he died in 2003. I’m so grateful my mother-in-law left behind a wonderful legacy for her children and to everyone who had the pleasure of knowing her. And even though my mom is still alive, I’m grateful her legacy is positive. She sacrificed so much for me.